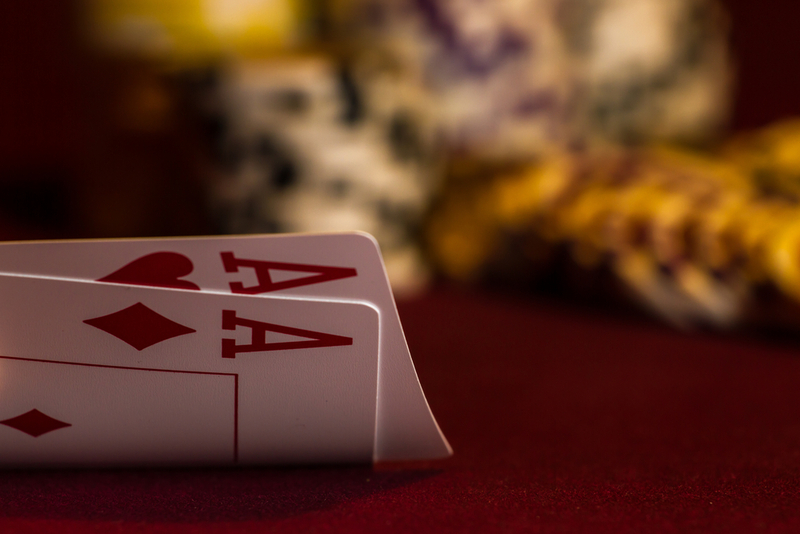 Are you just getting started with online poker? Do you want to learn about the infamous poker check-raise, a move that was once shunned for being deceptive but is now standard casino fare? As you might have heard, it’s an incredibly useful move that will help you win consistently even as a novice player. It’s also a great way to turn an unfavourable position to your advantage, by weaving a cunning little bit of trickery around your most eager opponents. We have carefully prepared this article to bring you up to speed on everything poker check-raise, including when to check-raise poker and lots of crucial subtleties that make all the difference towards the bottom line. Read on, learn well and go out there make a killing! So What Exactly is a Poker Check-raise? In simple terms, a check is a versatile move that involves two steps: your initially check, but you do it with the covert aim of luring an opponent into raising the bet – so then you will double raise or beyond. The typical effect of this move in the other players is they will either be scared off by your unexpected raise and they will fold or they will assume you’re bluffing and potentially step into a battle they’re unprepared for. This move works great because you first lure players into a sense of false security when you check, which only adds to their confusion when you then raise the bet. Check-raise as a demonstration of power: being on the other side of check-raise can be intimidating, especially when you’re a novice player. Which means this technique has potential as a simple scare tactic; you can use it whenever you need to throw your weight around and you want to point out you’re not kidding around. Check-raise as a bluff or semi-bluff: typically, you’ll be using this move when you’re either holding a marginal hand or when you’re holding a strong drawing hand. In both scenarios, it’s essentially a bluff meant to lure your opponent into a sense of false security that will ultimately work to your benefit… much like a spider trying to seduce a fly. Check-raise as a way to improve your winnings: in some situations, this move will work brilliantly to ensure the pot will be full of gold when you effectively take hold of it. This strategy is most suitable when you indeed have the likely winning hand and you notice some players are looking or an excuse to throw money into the pot. The best time to check-raise is when you’re facing a single opponent; it might work on a group of players simultaneously, but the more are people involved in this play the less likely you can pull it off effectively. A check-raise is essentially a play that takes advantage of your opponent’s greed and overconfidence, using it as means to keep the pot overflowing with easy cash. So when exactly is the best time to poker check-raise? When you decide it’s time check and raise, you need to be aggressive when the time comes to raise the bet. Make sure to at least double the amount that your opponent previously raised when he played his turn.